HomeSleep TipsIs Technology Interfering With Your Sleep? From the time we get up in the morning until retiring at night, computers, cell phones, tablets and similar electrical devices have become part of virtually every aspect of our daily lives. The ability of these devices to digitally receive, store, process and disseminate information truly borders on the amazing. There are, however, downsides to these technological wonders, one of which is their interference with the way we sleep. Just about everyone knows that consistently getting enough sound, restful sleep is necessary to maintain good physical and mental health. 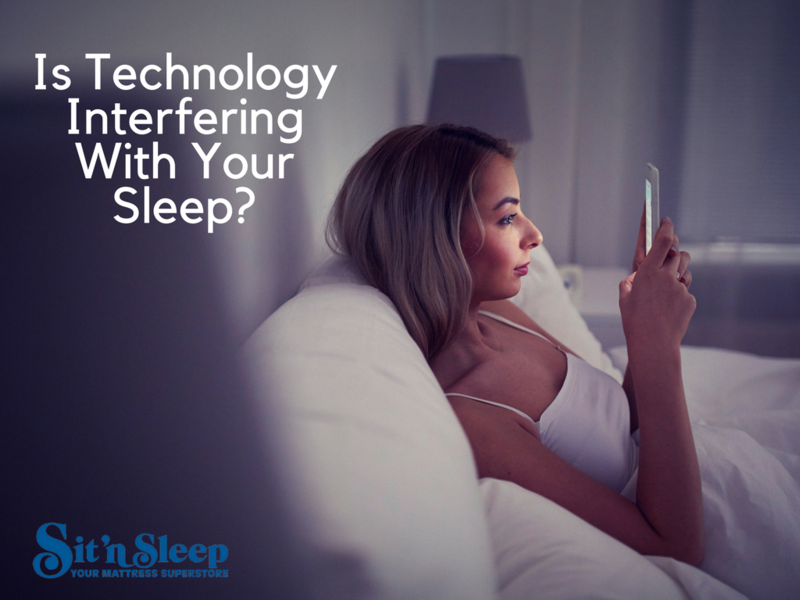 Research by the National Sleep Foundation, however, indicates today’s technology has in many cases disrupted our sleeping patterns. Regular and prolonged nighttime use of digital devices negatively affects both the duration and quality of sleep, as well as the ability to properly function the following day. A recent study by the National Sleep Foundation found that 39% of Americans use their smartphones every night, with the biggest users being people under 30 years of age. Of those surveyed, 95% use some sort of digital device shortly before retiring or while in bed to watch television, make calls, catch up on work, send or receive emails and texts, surf the web, play games or check social media accounts. As enticing and harmless as these activities may sound, they tend to stimulate mental activity rather than help the mind relax and unwind after a long day. It’s also easy to become engrossed with these diversions, causing users to lose much-needed sleep by remaining alert and awake beyond their usual bedtimes. Regardless of the type of device you use at late at night, the longer it’s used, the less restful and relaxing your sleep will be. One culprit is blue light emitted by digital devices and TV screens, which is a wavelength of the visible light spectrum that the brain interprets as being daylight. Blue light disrupts the body’s production of the sleep-inducing hormone melatonin that affects the body’s natural sleep/wake cycle, which is called the circadian rhythm. Viewing a smartphone or similar device during daylight hours when melatonin production is naturally low, blue light emissions don’t present a problem. Melatonin levels increase after sunset to gradually induce drowsiness as bedtime approaches. If interrupted by blue light emitted from a digital device, however, the brain reacts as if it were daytime, causing the body’s production of melatonin to slow and levels of cortisol produced by the adrenal glands to rise, making it difficult to fall and stay asleep. If it’s absolutely necessary for you to use a computer as bedtime approaches, dim the screen’s brightness as much as possible to limit the melatonin reducing and sleep inhibiting effects of blue light. Many people have become so dependent on their cellphones that they find it difficult to be away from them even for a few minutes, which includes nighttime hours. Not surprisingly, they often use the phone’s built-in alarm function in place of a traditional alarm clock, keeping the device on a nightstand where it’s within reach and easily accessible throughout the night. In addition to the light emitted from the phone’s screen, the rings, chirps, chimes or vibrations signaling incoming calls and text messages received during the night can abruptly awaken a sleeping person, who may then find it difficult to fall back asleep. Placing the device screen side down and muting or turning it off before retiring for the night is a good idea, since it will block light emissions and stop the ringing and vibrations, but still allow the alarm to go off at the preset hour. Traditional electric alarm clocks also emit light, so they should be positioned with the screen facing away from the sleeper, which will block the light emitted and preclude the temptation to check the time throughout the night. 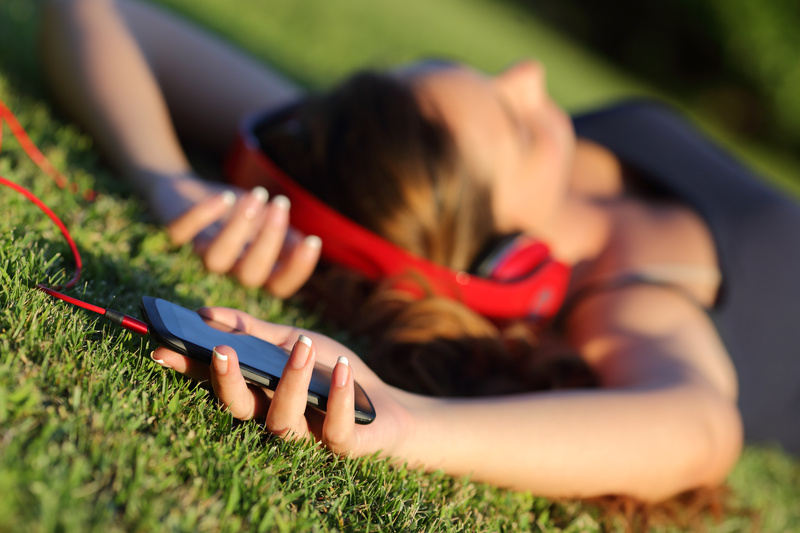 Most people admit to frequently using some form of electronics within an hour of going to bed. It may not seem like a big deal to send a few emails or watch a movie to unwind before bedtime, but engaging in these and similar activities involving digital devices at night can fool the brain into thinking it should stay awake. To avoid technology interfering with a good night’s rest, leave a minimum of at least 30 minutes of device-free transition time before retiring for the night. Better yet, consider making your bedroom a technology-free sanctuary. Keep and use electronic devices, including televisions, in other areas of the house. Although it may seem difficult at first, you should be sleeping noticeably better and awakening relaxed and refreshed after the first few days. There is one area of modern technology, however, that actually belongs in the bedroom and is known to promote sound, uninterrupted sleep, which is the advancement in mattresses and sleep systems. You’ll find the very latest in mattresses, beds, bedding and accessories at each of Sit ‘n Sleep locations conveniently located throughout Southern California. Our knowledgeable and experienced sleep consultants will help you create the ideal sleeping environment to match your lifestyle. Most people admit to frequently using some form of electronics within an hour of going to bed. It may not seem like a big deal to send a few emails or watch a move to unwind before bedtime, but engaging in these and similar activities involving digital devices at night can fool the brain into thinking it should stay awake. To avoid technology interfering with a good night’s rest, leave a minimum of at least 30 minutes of device-free transition time before retiring for the night. Better yet, consider making your bedroom a technology-free sanctuary. Keep and use electronic devices, including televisions, in other areas of the house. Although it may seem difficult at first, you should be sleeping noticeably better and awakening relaxed and refreshed after the first few days.